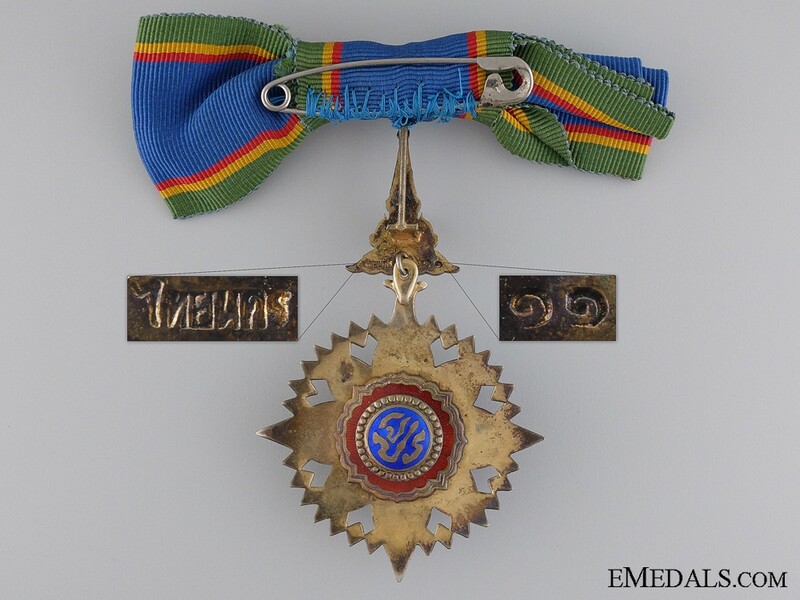 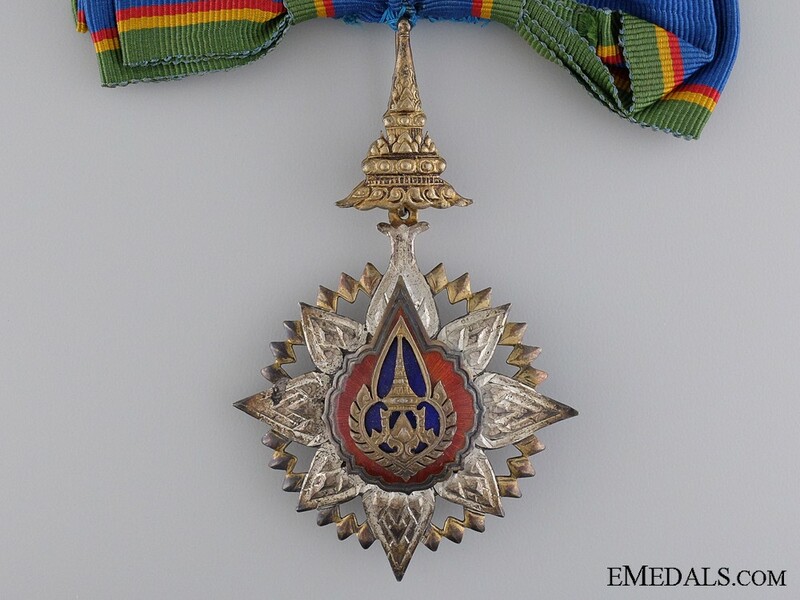 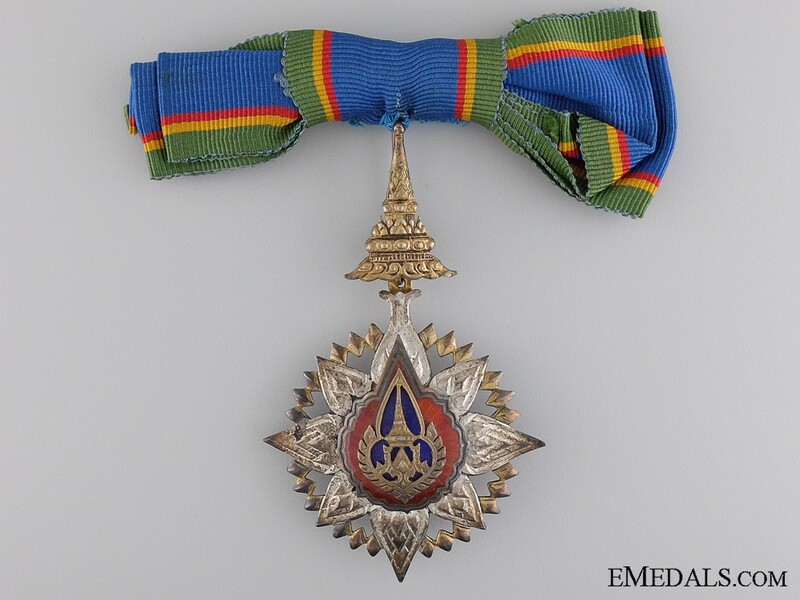 Order of the Crown of Thailand; Breast Badge - in silver gilt and enamels, 53x59mm. Mounted as worn on ladies style bow ribbon. 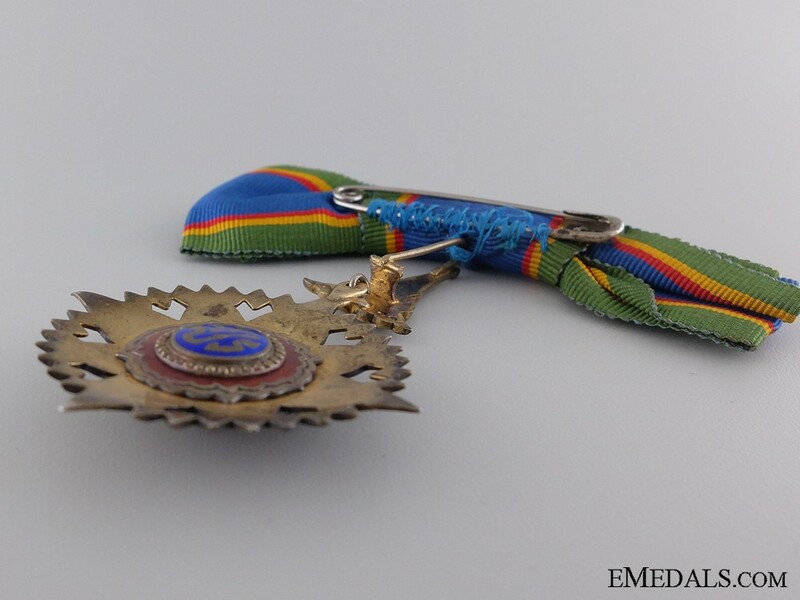 In very good/fine condition.